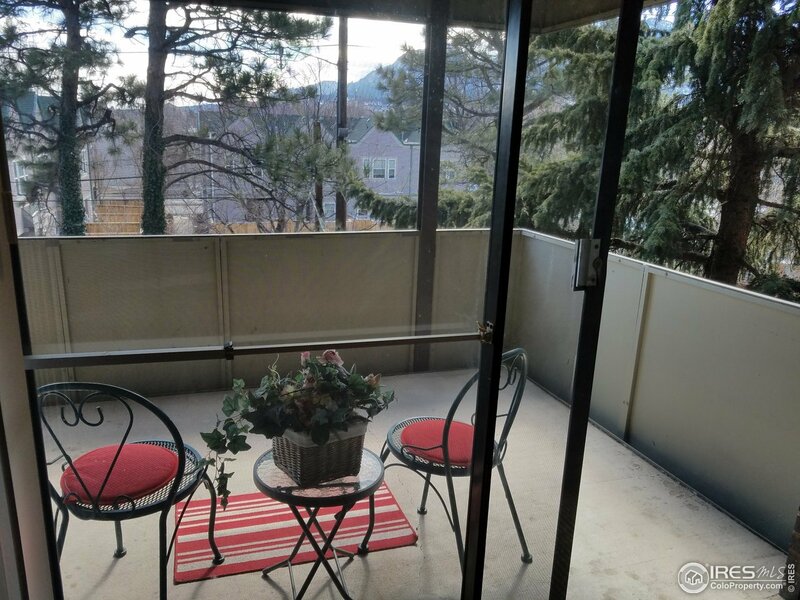 Delightful and Spacious 3rd Floor Condo with FLATIRONS VIEWS. New Carpet, paint and countertops. Easy to live in. Walk to the Pearl Street Mall, the 29th Street Mall and blocks from campus. Oversized 1-car covered carport steps from the back entrance. Assoc Fee includes heating and cooling, indoor pool, hot tub, pool room, rec room, library, and an assigned storage locker. Just step off the elevator and you&apos;re there. Enjoy coffee on the patio while peeking at the Flatirons. Move-in Ready!